I returned from Cayucos, CA with Dhiren a couple days ago. We spent Friday through Tuesday with his family at an awesome 5-room house steps away from the beach in Central California. We had a fabulous time, but life has felt unbalanced since the return. Adjusting to life post vacation has never been easy. Even when the bags are unpacked and laundry done, it’s SO hard readjusting. Going back to teach on Wednesday felt like being stuck in quicksand. Anyhow, the other day as I was making the cookie dough to bring to the vacation house, our microwave exploded!!!! Literally, it just started randomly popping and smelling like a nuclear disaster before we left on our trip. I tested it with a microwave safe plate and butter, and while empty and it just malfunctioned.SO scary. One of my “in-laws” friends was a microwave engineer, and he told them that he would NEVER use a microwave, even though he built them. He said it literally changes the atomic structure of the molecules in the food and radiates the food we put in our bodies. Sounds like something from a Vonnegut novel. So, instead of running out to replace it, I am going to ditch microwaves for good. My organs don’t need radiation heating, thank you! I’ve also been doing more resarch about cell phones, and it’s super scary. I’ve heard some people (defeatists) say “Everything causes cancer” but I disagree… things that literally heat up your brain or body with radiation need to be seriously considered. But, now the problem is how to survive without one?? How do I heat up leftovers, cold coffee or soften my butter in a zap for cookies? It’s going to take some readjusting. 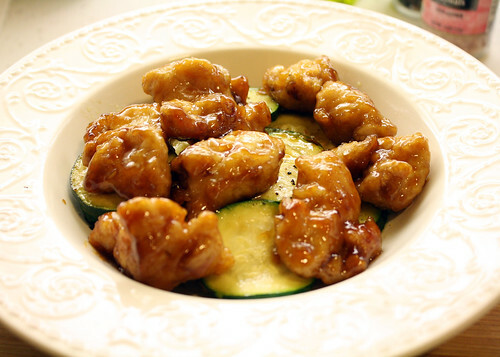 Lastly, here’s one of my favorite dishes and recipes for the week: Zucchini & Orange Chicken. I’ve started Weight Watchers this week, and it’s been great, though I’m keeping it on the hush hush until I have some results to go along with the goals. So I’m going to begin posting the points so I can meet WW friends and have a place I can later reference! This has 5 Points for the Chicken, 3 Points for the Sauce (estimated) and 0 points for as much zucchini as you need to fill you up! I use olive oil to get in some healthy fat, and it has 7 points for 2 tbsp. I also use Pam as well, to help coat the skillets. 1. Using a nifty garlic crusher, crush a couple cloves of garlic. You can also use shallots to add flavor. 2. Heat up 1 tbsp of olive oil, then add the garlic. 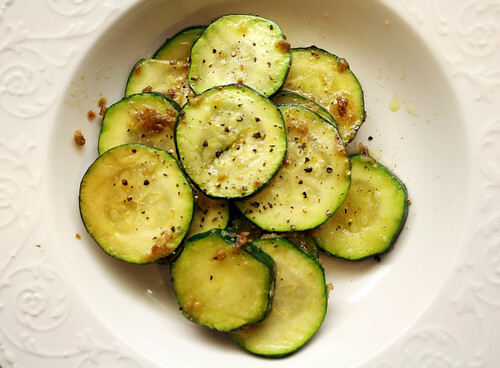 After a minute, toss in the squash and zucchini (I love using yellow summer star squash as well). 3. Prepare the Trader Joe’s Orange Chicken as directed. A filling, amazing meal, costing you around 15 points. Now, I’m personally eating a whopping 40 points starting out on Weight Watchers, so for those people eating 29 or so per day, I would reinvent this so that it’s fewer points. Probably cut back on the oil by baking the chicken. Enjoy! Since I finished classes at UCI this past December, there’s been a void in my life, and its name is “Chicken Eggplant Sandwich.” Most people who have attended UCI at one point or another stumble on Le Diplomat Cafe and try one of their (cheap) delicious sandwiches. 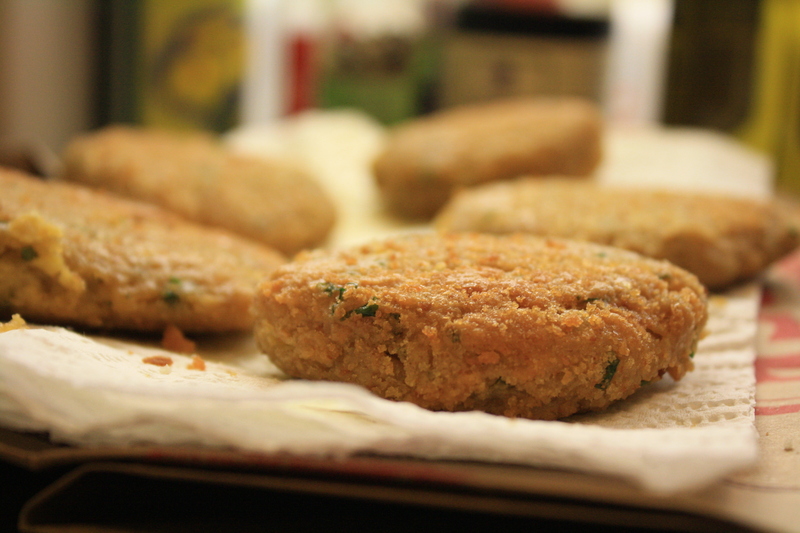 I decided to try and remake their vegetarian eggplant version (sans chicken). 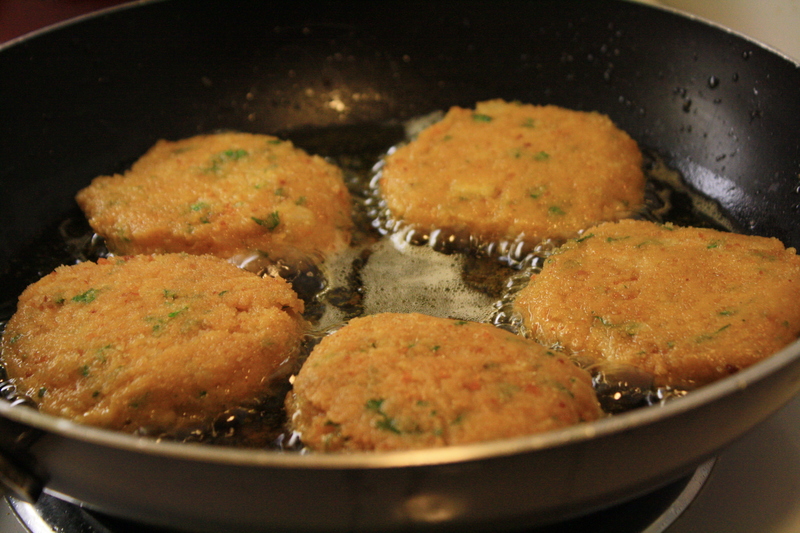 – 1/2 tsp lemon juice, freshly squeeze. 1. 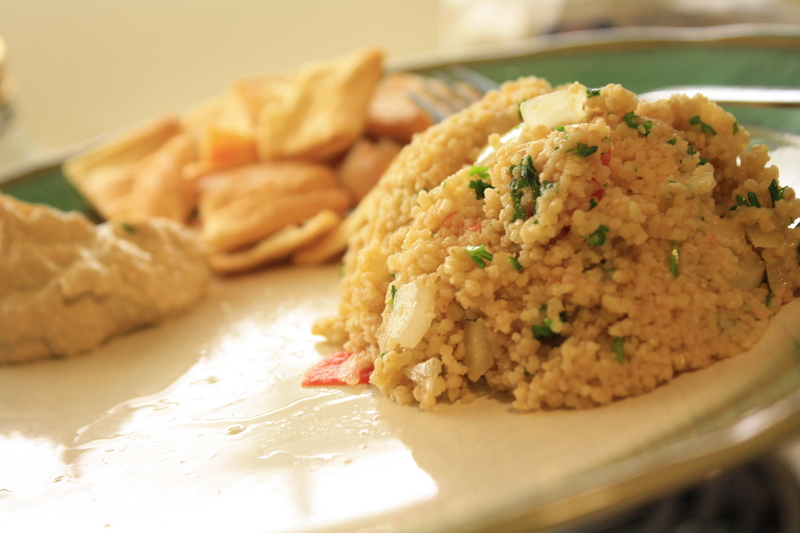 Combine garlic, mayo and lemon juice in a small bowl and mix well. 2. In a small frying pan, heat the eggplant (or grill it/ fry it if using fresh eggplant), add some thinly sliced tomatoes to the pan a couple minutes before taking off the heat. 3. Cut baguette to whatever size you can eat & coat the inside with the garlic mayo. 4. Crumble feta cheese inside. 5. Put baguette open-faced in a toaster, and toast for about 5 minutes, or until feta is soft and gooey. 6. Layer one/two small pieces of eggplant and tomato in the baguette and lightly salt to taste. Result: the garlic mayo at Le Dip is whole fat (I used reduced fat) and I don’t think that they put lemon juice in their aioli. So mine was tarter and a bit more acidic, but still pretty damned good, if I do say so myself! I forgot that eggplant is an acidic vegetable, so you really don’t need to add lemon. I think it would be better to add lemon if you plan to use the sauce on a chicken sandwhich though. I also added extra veggies, whereas Le Dip’s is more sauce & cheese. The main different was that I didn’t put NEARLY enough garlic compared to the original, so if you don’t mind offending everyone around you for 24 hours, add twice as much garlic and it’ll be more like Le Dip’s. Letting the mayo sit for a couple hours in the fridge after incorporating the garlic is probably a good idea too! Hope one of you Le Dip lovers tests it out and let’s me know what you think!